On Saturday, April 6th I attended the first comic convention of the year. Normally the Cape Comic Con is the first one for me, but this year there was a new one that had never been held before. It was in the small town of Benton, IL, and while it's not going to go down in history as the best comic convention I have ever been to, it was okay. Especially for the first year. My first purchases of the day came from Wayne Kent Comics. I had met this vendor previously at the Saluki Con in Carbondale, IL last September. 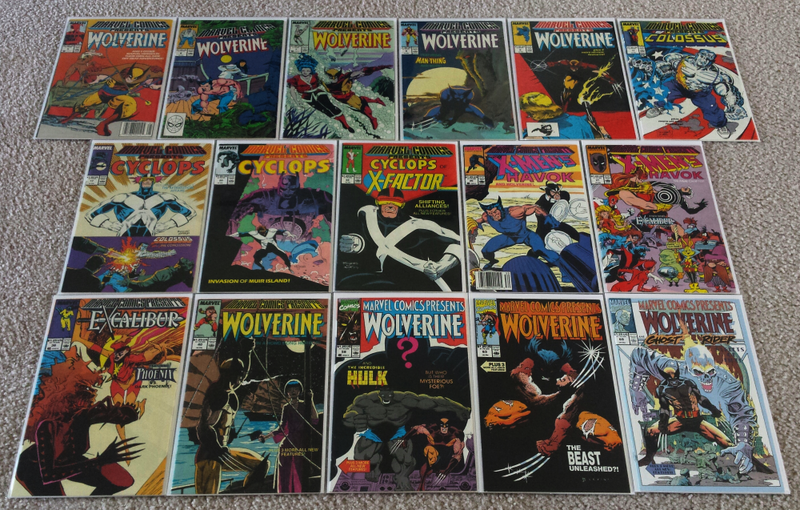 Like last time, he had a ton of great books for $1 each. I picked up a bunch of Marvel Comics Presents comics from him like I did last year. These are comics that I don't want to buy online, but instead save them for comic shop and convention trips. 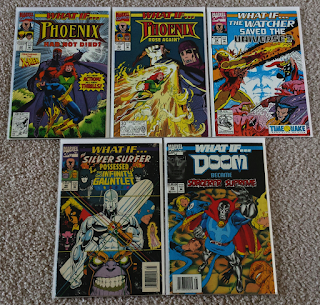 I don't know yet if I want to collect the entire run or not, but I definitely want all of them before they changed the logo around issue #150. Seems like "when the logo changed" is a common cut off point for me when assembling runs. 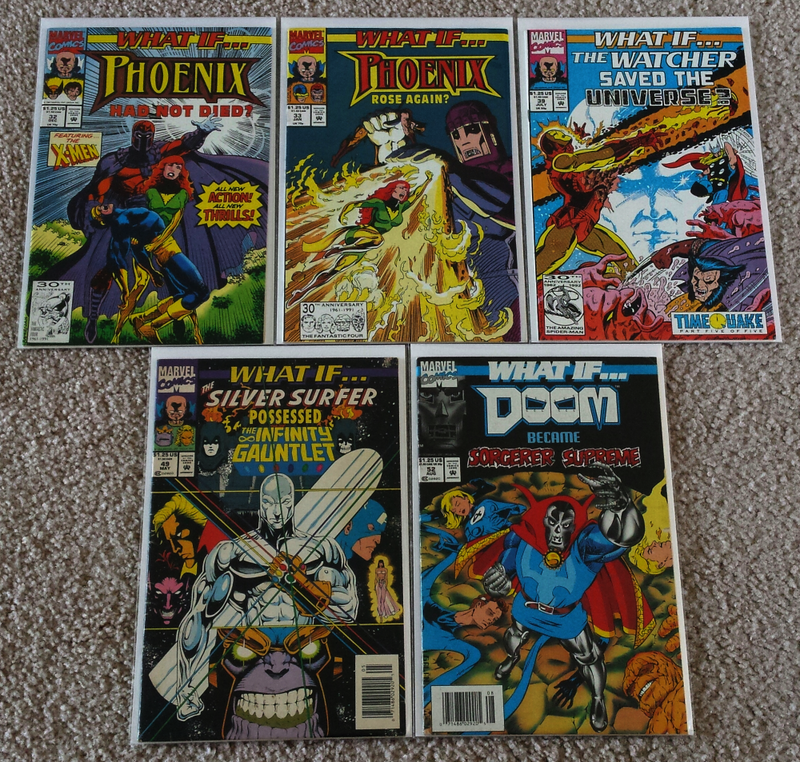 He also had several What If issues that I didn't have. Only two or three of these were $1, while the other ones were $3. 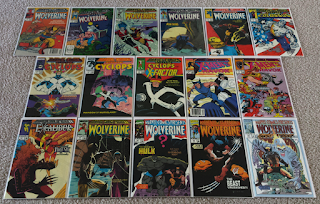 Pretty good deals, especially on issue #49 which seems to go anywhere from $10 to $40 depending on condition. Unfortunately this copy isn't in the best shape, but I felt like it was worth $3. Then finally from Wayne Kent Comics I spied this Black Cat Amazing Spider-Man #1 variant signed by Mark Brooks.This one was a bit more expensive than the others (more than a bit, actually) but I liked the cover a lot and I had to have it. I always like to get at least one wall book when I go to conventions. I walked around the convention and didn't see much else of interest. Eventually I made it to a booth set up in the corner from a vendor I had never encountered before. He had a bunch of long boxes full of comics that weren't priced. This can be a bad sign, but I asked the guy how much they were and he said they were .75 cents each. 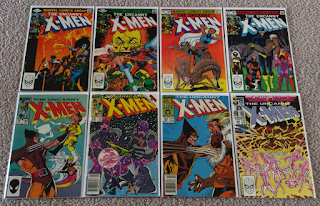 The comic I had in my hand, Uncanny X-Men #222, is normally at least a $15 book. The guy pointed at it and goes, "You've already found treasure! That book in your hand usually goes for about $20!" He told me that he had several of them and he was just trying to get rid of them. Every Uncanny X-Men book I bought came from this vendor. They were all extremely well priced, too. I think he even cut me a deal. Unfortunately he didn't accept debit cards or I probably would have bought more from him. 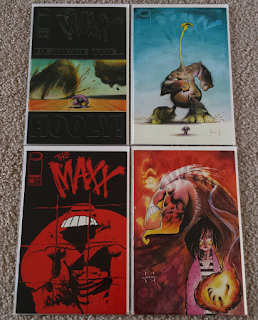 Oh, he also had all these Maxx comics for .75 cents each. I grabbed all the ones he had that I needed. Pretty good deals on those, I think. At the same booth were two other guys who were with him but were set up independently. 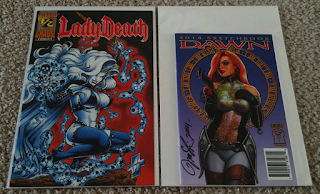 I stumbled upon this velvet red variant Lady Death Wizard 1/2 issue in the box. 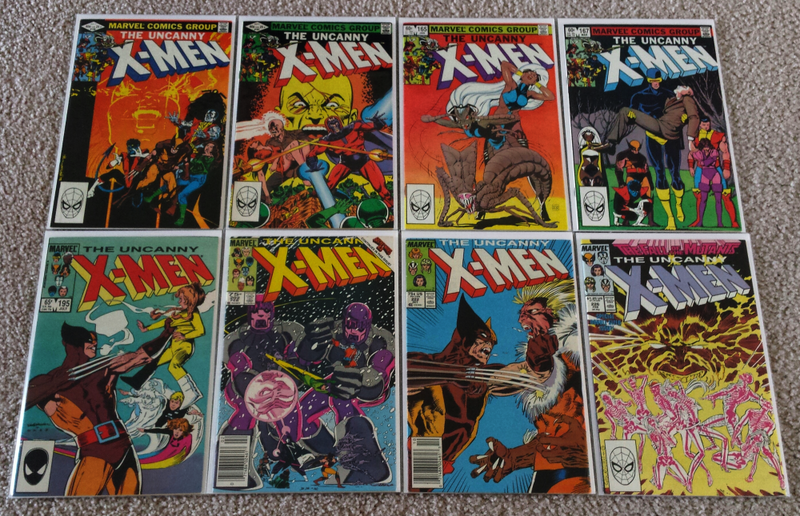 I might have overpaid a bit for it, but I feel like I got an exceptional deal on the X-Men books so it balances out. The Dawn 2014 Sketchbook was a last minute buy. My friend Jimmy spotted it at a table he was at when I went to ask him if he was ready to leave. It was $10. I'm on a big Dawn kick, so I had to have it. And that's pretty much it. Very small con and starts the convention season off with an, "Eh" feeling instead of a bang like normal with Cape Con. If I'm coming across as a bit underwhelmed, well... you'd be right. I only really bought anything from four vendors. Two of which I only bought one item from. Here's hoping for some gold at Cape!